Iran said today talks with six world powers would resume in early September. The nuclear talks were extended until 24 November after the two sides failed during negotiations in Vienna to reach a comprehensive agreement by last Sunday’s deadline. Under Iran’s proposal, the country will maintain its nearly 9,400 operating IR-1 centrifuges, as well some 10,000 machines that it has installed but not operational at Natanz enrichment unit; Iran also wants to significantly increase its enrichment capacity within the next seven years to be able to provide fuel for Bushehr power reactor. Under the proposal, Iran will have an enrichment industry with 190,000-SWU capacity, equivalent of 200,000 IR-1 centrifuges, by 2021. But Iran is also willing to convert all enriched uranium produced into fuel for Busheher, which would make it unsuitable for nuclear weapons. The P5+1 proposal calls for only few thousands of IR-1 centrifuges to provide fuel for Tehran Research Reactor and a modified version of Arak (IR-40) heavy water reactor. 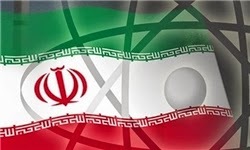 But until the expiration date of the comprehensive agreement, believed to be well past Iran’s target date of 2021, Iran will not be developing industrial-scale enrichment capability. The proposal would in effect prolong Iran’s breakout capability during the life of the agreement if it were to decide to build nuclear weapons. The wide gap between the two sides on enrichment capacity, what Ms. Afkham was referring to in her press conference today, not only prevented the parties from reaching an agreement in Vienna, but also seriously questions their ability to narrow it enough to strike a deal by the 24 November deadline.